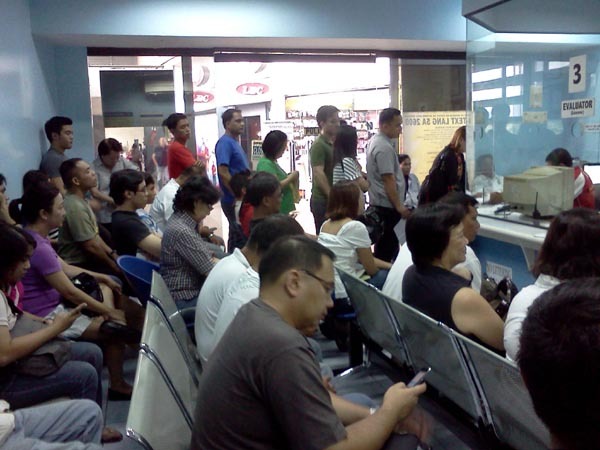 After being in the LTO for (just) four hours, there were already a lot of problems that I observed. What's to expect, right? It's the Philippines! 1. More personnel and equipment are needed. Perhaps more windows per step to accommodate more people? 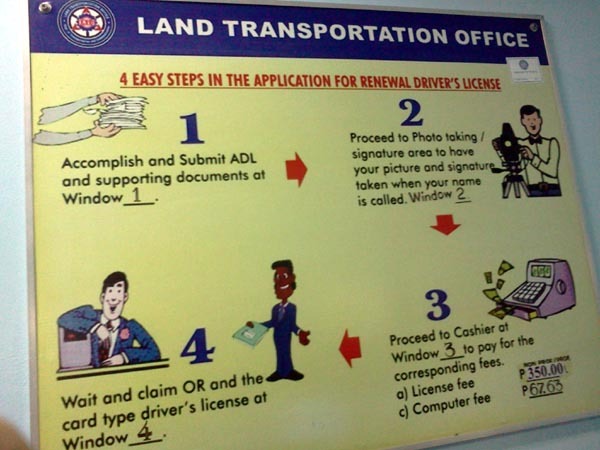 This will make the LTO's "4 easy steps" easier and will help eliminate long lines. 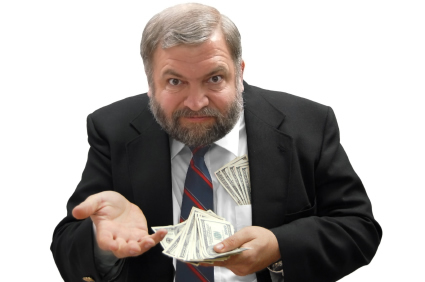 Precious time, money, including personal leaves from work are wasted by waiting. Major major problem. The lines always long and waiting is forever! 2. LTO should be in close contact with the MMDA—Or at the very least have their phone number! (Can you believe that the Ayala MRT branch doesn't have it?) This is to help people settle their cases with the MMDA so that their license can be released. To get a list of all contact numbers, click here! 3. Medical procedures should be standardized. This isn't directly LTO's problem but they accredited these medical offices! 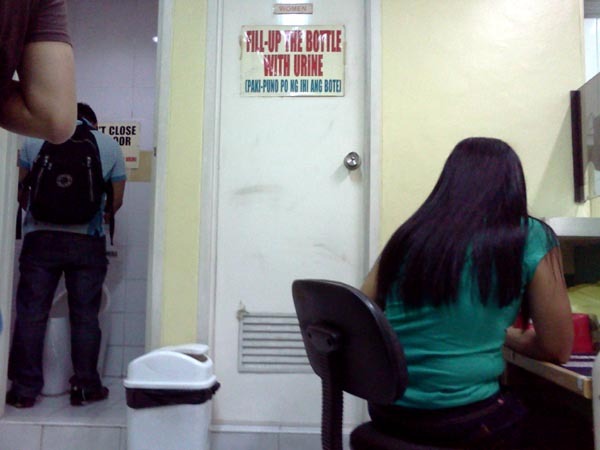 For urine samples, how come women are allowed to close the doors while peeing while men can't? What's the objective? Also, instructions clearly state that the bottle needs to be filled-up. I observed that bottles that weren't even a quarter full were accepted. Procedures aren't standardized. For urine samples, women are allowed to close the door while men aren't. 4. Have a detailed step-by-step guide for everyone. Perhaps this should be stapled to each application form? I notice that there's more to these four steps. After each one, people were always unsure what would happen next. Do they sit and wait? Will they be called? There's more to this than the four easy steps. Should be more detailed! 5. People shouldn't be fined for LTO's shortcomings! If the system was down on the day that people needed to renew their license and expired as a result when they were told to come back, no penalty should be imposed—even if it's just Php 75. Greedy! People shouldn't have to be fined Php 75 for LTO's shortcomings. Getting my license renewed or dealing with our government offices, in general, makes me feel that that it’s really more fun outside the Philippines. It's frustrating! Maybe I should print this and drop it in their comments and suggestions box.